Uncivil acts and messages too often color our experience with others. Communication in a Civil Society offers an alternative way to teach and learn about communication. 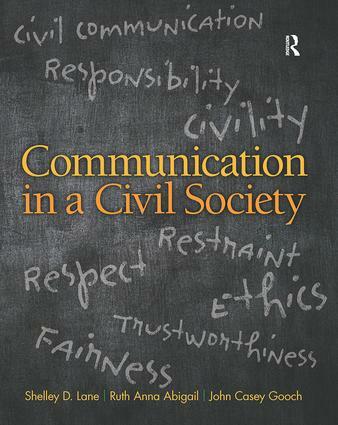 Every chapter focuses on communication based on respect, restraint, and ethical choices. Shelley D. Lane, PhD., earned degrees from the University of California - Los Angeles and the University of Southern California. Dr. Lane is currently an Associate Dean of Undergraduate Education at the University of Texas at Dallas. Her research interests include the communication of civility and intercultural communication.